Recently, NFPA issued an updated version of the standard that includes several changes. As part of our effort to keep electrical workers up-to-date on the latest safety initiatives we have summarized those changes most likely to have an impact on your day-to-day performance of your job. Updated job safety planning and job briefings are now required in the event the scope of the job changes in a way that might affect the safety of employees. And the safety program must also include elements to investigate electrical incidents, should they occur. Employers are now required to provide each employee with training in lockout/tagout procedures, and document that training at its successful completion. Re-training is required at least once every three years, when the procedures change, or when an audit reveals non-compliance. Employers are explicitly responsible for providing the equipment and training necessary to enact lockout/tagout principals consistent with the requirements of Article 120. They are also responsible for auditing their employees’ compliance with lockout/tagout procedures. Arc flash risk assessments must be performed to identify arc flash hazards, estimate the likelihood of occurrence of injury or damage, and to determine if additional protective measures or PPE are required. The standard now includes a table to provide guidance on what PPE is required depending upon the potential incident energy exposure. Labeling of electrical equipment must now include the arc flash PPE category from Table 130.7 (C) (15) (a) or Table 130.7 (C) (15) (b), but not both. Current labeling that complies with pre-existing labeling requirements in effect at the time the labels were applied does not need to be revised unless changes to the electrical distribution system renders the current labeling obsolete. Data used to calculate labeling must be reviewed at least every 5 years. The OWNER of the electrical equipment is responsible for documenting, installing, and maintaining all labels. A clarifying note has been added to the effect that new insulating equipment is not permitted to be placed into service unless it has been electrically tested within the previous 12 months for blankets and sleeves and 6 months for gloves. Insulating equipment that has been issued for service but not yet used is not new and is required to be retested in accordance with the intervals specified above. This addition defines the energy level thresholds at which special precautions must be taken. At first glance, this might seem to be a major issue. However, the practical impact of this change is probably less than it might seem. OSHA requirements and other safety standards and guidelines remain in effect whether they are referenced in the 70E standard or not. 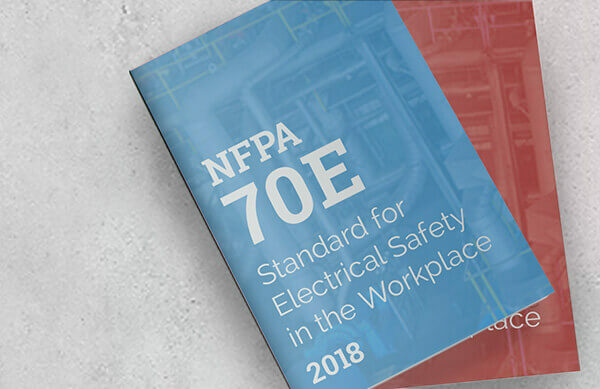 We hope this summary of the most significant changes to NFPA 70E in the 2018 edition is helpful to your efforts to maintain a safe and compliant workplace. We remind you however, that there are more changes to the standard that are not discussed here. To ensure full compliance, we urge you to download the latest version of the standard at the NFPA website.